ODA for domestic resource mobilisation is on track to meet commitments, but is this enough? The Addis Ababa Action Agenda and Sustainable Development Goal (SDG) 17 brought to prominence the role of domestic public resources in financing development. International support was identified as key to promote increased domestic revenue mobilisation (DRM) in efficient, effective and equitable ways. The Addis Tax Initiative (ATI) and the Platform for Collaboration on Tax (PCT) were created, leading efforts to guide international support. ATI calls for the doubling of international technical support by development partner members by 2020 and increased policy coherence by all members. The PCT aims to create better cooperation on tax issues between the OECD, International Monetary Fund, UN and World Bank, and is holding its first conference this week. It is an opportune moment to raise some key questions around progress on official development assistance (ODA, or aid) for DRM, both in monetary terms and international efforts to guide coherence. Top-level findings of our emerging work are covered here, and explored in depth in our forthcoming report (publication April 2018). Is ODA for DRM on track to meet ATI commitments? In 2016, total ODA for DRM disbursements was US$366 million, a significant increase in real terms from US$176 million the previous year. 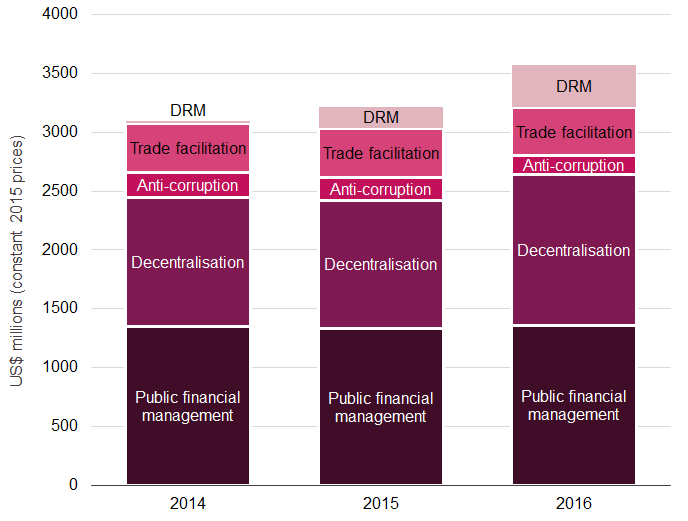 The year also saw an increase in all other related sectors, except trade facilitation (Figure 1) (unlike in 2015 when ODA for DRM appeared to ‘crowd out’ support to other areas). Nominal disbursements in 2016 from development partner members of the ATI were US$333 million, meaning the committed financing target of US$447 million is half way to being achieved with four years still remaining. However, only a few ATI development partner members drove this increase, in particular France’s US$110 million ODA loan to Indonesia. In contrast, 10 ATI development partner members reduced ODA to DRM support in real terms in 2016. For example, the UK, having exceeded the ATI commitment in 2015, reduced support by US$7 million (17%) to US$34 million in 2016. Furthermore, receipt of ODA for DRM is concentrated, with nearly half going to Indonesia (31%), Armenia (12%) and Chad (6%) in 2016. Is this the only financing going to DRM? The data in Figure 1 is based solely on disbursements listed under the newly created OECD purpose code ‘15114 – Domestic Revenue Mobilisation’, used by ATI to monitor support. There is, however, evidence to suggest that projects outside of this purpose code may have a major or minor DRM component. Using our ODA for DRM tracking methodology, we find that there are significant amounts of financing going to such projects, not coded using the DRM purpose code (Figure 2). Notes: All figures in US$ millions (constant 2015 prices). 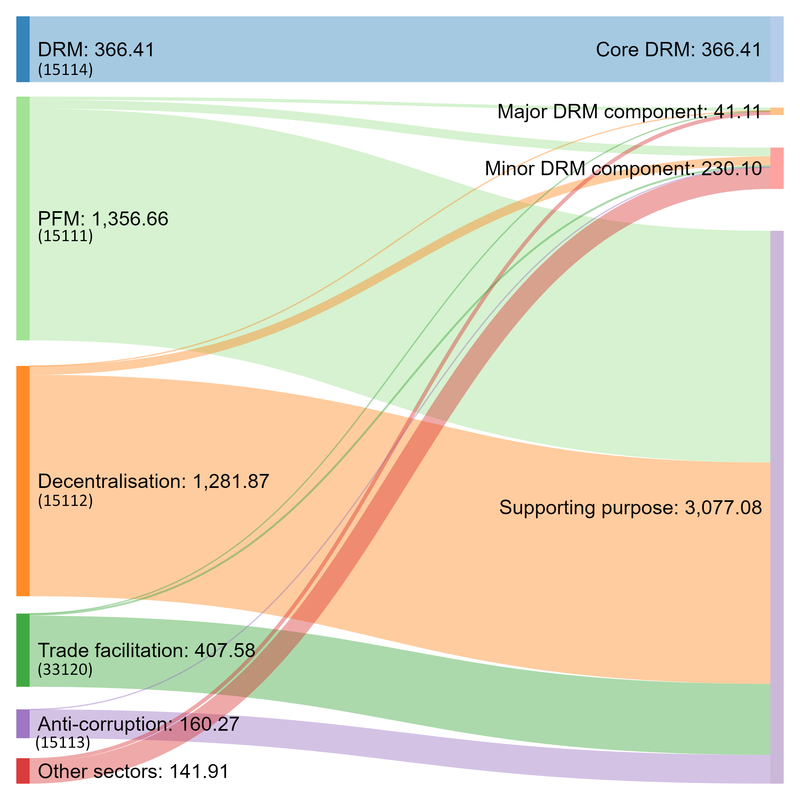 More funding to DRM could be captured by separating components of a project into different purpose codes (one of which being the DRM code), a methodology established by the International Aid Transparency Initiative and demonstrated by the World Bank International Development Association in their reporting to the OECD. Furthermore, purpose codes that are highly relevant to the success of DRM (shown in Figure 2) are not currently being monitored; it may be in the interest of the ATI Secretariat and useful for development partners and recipient governments to expand their financial tracking efforts to capture wider relevant purpose codes. There is also a need to understand wider ATI recipient government support to other countries (e.g. south−south cooperation) as well as from ATI supporting organisations, something that could potentially be added onto the secretariats DRM database. The numbers look good, but is ODA to DRM responding to nationally identified needs? The financing commitment under ATI looks likely to be met, but we can still question whether it is sufficient and targeted in the right ways. The answer is complex (and will be covered in our forthcoming report), but in essence we think there could be merit in focusing attention on the needs of the demand side, rather than the supply-side approach of ‘doubling support’. Increasingly recipient countries outline financial support required in their strategic plans (e.g. either specific revenue authorities or wider whole-of-government approaches), so could financing from development partners be identified from the ground up? For example, the Uganda Revenue Authority reported a US$31 million funding gap in 2016/17, with external development financing making up only US$0.5 million of the authorities’ US$78 million budget. While the funding gap of the revenue authority and other relevant ministries or agencies can be met by other forms of financing, more understanding of the financing needs of recipient countries is required to ascertain whether a doubling of ODA for DRM by 2020 is sufficient. 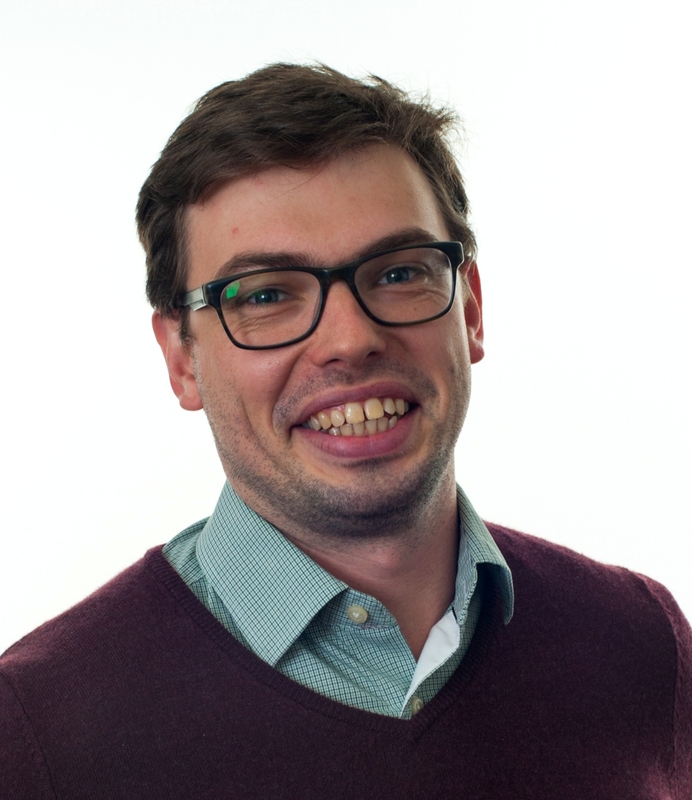 Is there progress in policy coherence? With the ATI commitment to double ODA for DRM seemingly on track, it gives us space to focus on improving policy coherence. Last year the ATI published its first monitoring report, which identified how development partners ensure both organisational coherence (e.g. involving their own revenue bodies in activities) and policy coherence (e.g. aligning their strategies with international taxation to in-country support, or appreciating the role of trade policy on recipient countries’ revenue generation). The report found that efforts so far have narrowly focused on specific tax administration and revenue mobilisation activities, as outlined within SDG 17; there is scope for aid strategies to emphasise how their ODA for DRM can support progress against the broader SDGs. 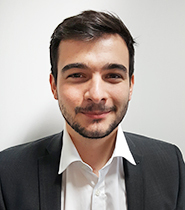 For example, the choice of a country’s fiscal policy and tax regime influences the potential for redistribution to the poorest and is not gender neutral; revenue from well-designed ‘sin’ taxes, targeting unhealthy behaviour like smoking, could finance a country’s public health expenditure; green taxes may incentivise developing low-carbon economic activities. To date, most development partners’ strategic approaches towards strengthening tax systems in partner countries don’t explicitly target this potential. DFID’s 2017 Economic Development Strategy, for example, clearly emphasises poverty reduction, but its DRM component focuses on ‘supporting countries to increase revenue’, without integrating it into a wider approach of poverty alleviation and job creation. Similarly, Canada’s Feminist International Assistance Policy doesn’t address how partner countries’ tax regimes can be inequitable in respect to gender. The First Global Conference of the Platform for Collaboration on Tax provides a unique opportunity to discuss how support for DRM can be made more coherent in support of the wider 2030 Development Agenda. We look forward to stakeholders’ deliberations in this area. The UK set the baseline at US$20million, based on 2014 estimates, which was doubled in 2014.